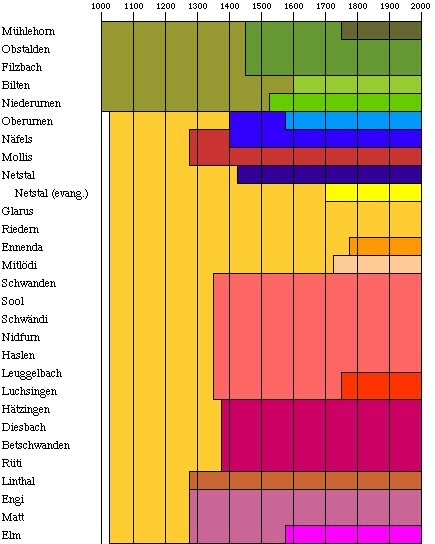 The following diagram shows the establishment of churches in the canton of Glarus. During the reformation in the 15th century almost all churches became protestant. Shades of blue indicate that the church is now catholic.